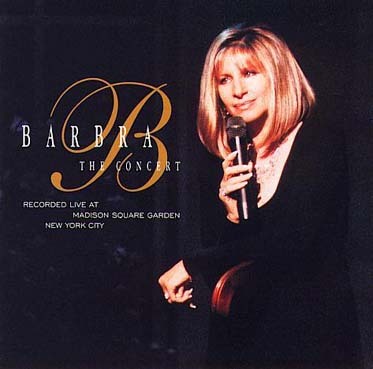 The Ultimate Barbra Streisand Album Experience: "The Concert"
Producers: Barbra Streisand and Jay Landers. Barbra does not appear on any tracks in italics. Recorded live at Madison Square Garden in New York, June 1994. Disc Two, Track Five recorded at MGM Grand Las Vegas, Janurary 1 1994. One single was released for ths album, "Ordinary Miracles." It contained the Studio Version and Live at the MGM Grand Version. A promotional Single was released for "Evergreen." To Purchase this album, please click on the banner below to visit amazon.com.